Training providers such as ECTA training are helping both experienced gas technicians and those who have never worked with gas before to access this exciting new industry. 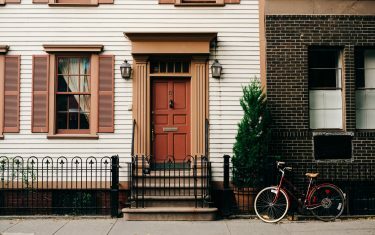 Between now and 2020, the rate of smart meter installation in the UK is set to accelerate rapidly to ensure that the government meets its target of over 50 million smart meters in UK homes and businesses. Metering and utilities companies are preparing for the challenge by recruiting skilled smart meter engineers but they are struggling to meet the demand, particularly since smart metering engineers need to have a specific set of skills which encompass both practical and technical abilities and customer service provision. 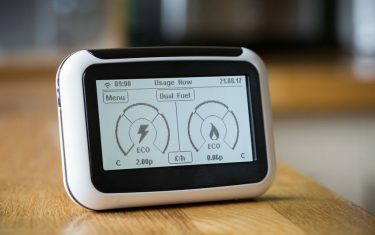 Smart meters are free devices with a host of intelligent functions, providing homeowners with a visual display unit for monitoring energy usage and spend in near real time and suppliers with a stream of data that will help them to produce accurate bills, design intelligent tariffs and simplify switching. A public awareness campaign, featuring the cartoon characters Gaz and Leccy, is currently underway to prepare people for a new wave of installations. Training providers such as ECTA training are helping both experienced gas technicians and those who have never worked with gas before to access this exciting new industry. With professional high quality training behind them, the opportunities for securing a permanent position will be much higher as will access to the more attractive salary packages on offer as companies attempt to outbid each other for the best employees. Once the smart meter rollout has been completed, many engineers will be perfectly placed to move on to various other exciting roles within both domestic and commercial utilities. Due to stringent new Ofgem requirements (enshrined in the SMICoP legislation), metering and utilities companies are required to ensure all installers are able to provide a high level of customer service including communicating technical information in a way that the average homeowner will understand. Training companies such as ECTA have designed their courses so that candidates emerge with these ‘soft skills’ as well as the more practical and technical meter installation capabilities. By arming themselves with advanced communication skills, prospective engineers will give themselves a valuable boost in the smart metering labour market and are also likely to progress further and faster in their new careers. Established industry skills training company ECTA have created three smart metering courses (Level Two Diplomas) offering three routes into the smart meter industry. Most applicants will prefer the Dual Fuel course as this covers both gas and electricity meters, giving maximum flexibility when it comes to employment. For those who only need training in the installation of one type of smart meter, ECTA offer a Gas or Power (Electricity) Smart Meter course. Students on the Dual Fuel or Gas smart meter courses will also take their ACS core and appliance certificates for gas metering, enabling them to apply for Gas Safe Registration and streamlining future ACS applications. All ECTA smart meter courses cover everything that is required for the role of an installation engineer including practical meter removal, installation and testing skills; understanding of working practices and safety and the customer service abilities mentioned above. Candidates do not need any pre-existing qualifications to book a place on an ECTA smart metering course. However, prior experience or a relevant qualification may mean that the course duration can be tailored to be more economical. ECTA Smart Meter courses are split between centre-based practical and theoretical tuition and mentored work placements with a meter company (either independently arranged or via ECTA’s chosen recruitment partners).